Crown Tank is a sub ohm tank by Uwell and is one of the best sub ohm tanks on the market. Crown Tank Features a super high quality stainless steel tube vaporizer, quartz glass tank, and organic cotton for its coil, Crown brings you the best taste of your juices. The Crown comes with Single Coil, Dual Coils, and Temperature Control Coils. 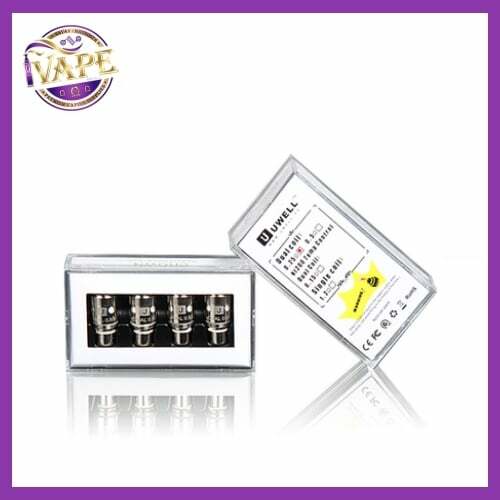 Its large airflow design bring you huge vapor production. What’s more, you can fill the Crown from top of the atomizer without having to screw atomizer from your MOD. What’s in the Crown tank box?